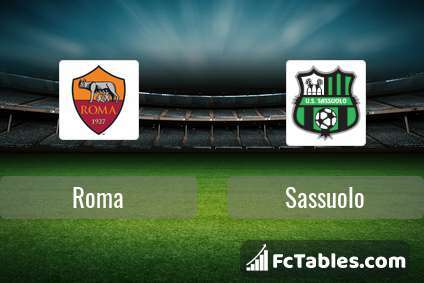 Match Roma-Sassuolo Serie A the fixture is set to kick-off today 17:00 on Stadio Olimpico, Rome. Refereee Piero Giacomelli. Team Roma is located in the middle of the table. (11 place). Last 5 games (league + cup) finished balance 5 points. Roma has not been defeated at home from 3 matches. The best players Roma in Serie A, who scored the most goals for the club: Stephan El Shaarawy 5 goals, Aleksandar Kolarov 4 goals, Bryan Cristante 3 goals. Most goals developed: Stephan El Shaarawy 1 assists, Aleksandar Kolarov 2 assists, Bryan Cristante 2 assists. Injured players Roma: Daniele De Rossi, Ante Coric. 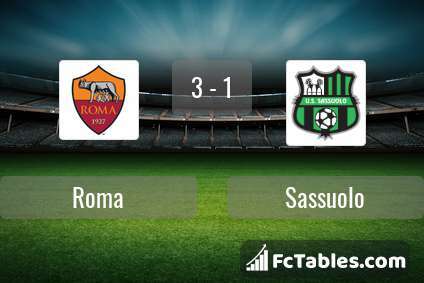 Team Sassuolo is located in the middle of the table. (9 place). Form team looks like this: In the last 5 matches (league + cup) gain 6 points. Not lost the match from 4 games. In this season games Serie A the most goals scored players: Khouma Babacar 4 goals, Kevin-Prince Boateng 4 goals, Domenico Berardi 3 goals. They will have to be well guarded by defense Roma. Most assists in the club have: Khouma Babacar 1 assists, Domenico Berardi 3 assists. Injured players Sassuolo: Leonardo Sernicola, Jeremie Boga, Kevin-Prince Boateng, Alfred Duncan, Claud Adjapong. 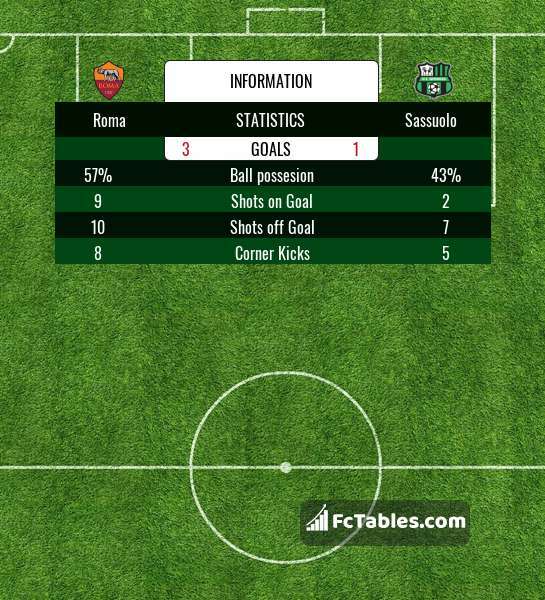 Direct matches: usually ended with winning of Roma. 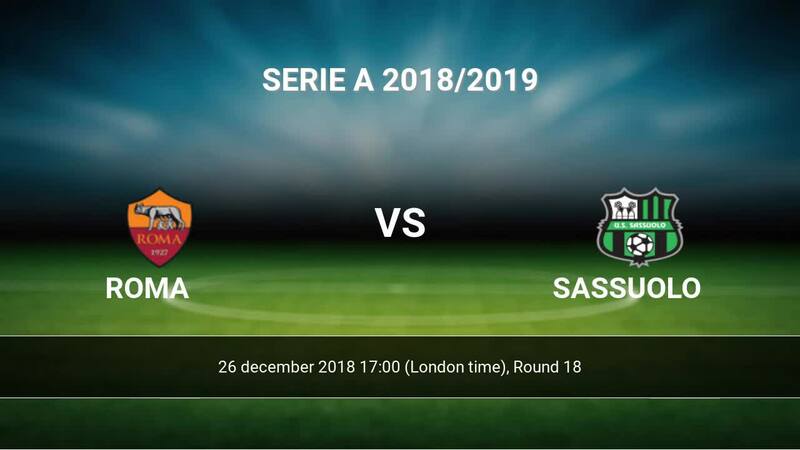 Balace of both teams games are: 6 won Roma, 0 wins Sassuolo, 4 draws. In 5 matches the sum of the goals both teams was greater than 2.5 (Over 2.5). On the other hand, 9 matches teams scored more than 1.5 goals (Over 1.5). In 6 matches the both teams have shot at least one goal.